This recent post on the discussion board from a new traveler had so many good questions in one place that I thought I would take the time to answer a little more in depth and share the dialogue more broadly. I hope this helps other therapists who are new to traveling! I’m a Respiratory Therapist with 5 years of experience and am considering doing Travel Therapy for a few years. The thought of traveling to new states and having increased income is very attractive. However, I do have a few concerns that I was hoping someone with experience could assist me with. On paper, it appears traveling is a tremendous increase in pay versus permanent jobs and with allotments boost the net even further. My question is if I elect to have housing provided to me and to have health insurance coverage, does that negate the increase in pay? To those who have traveled before: where else could you live short-term (3-6 months) and come out ahead instead of electing to have housing provided? There are a lot of different options for housing, and in my opinion, taking the housing assigned by the agency is the worst option. If you do take housing through the agency, as I did on my first travel assignment, you will find it very convenient. The agency will arrange a nice apartment for you with furniture, ready to move in, but it will cost you considerably. It will take a little more footwork to find a furnished space on craigslist or by looking up local classified ads in the community you are headed to, but you will be able to choose a living space in a neighborhood of your choosing, and you will likely be able to beat what the agency will charge you for housing. The camper I lived in on Martha’s Vineyard. We had considered a houseboat initially…. maybe next time. The final, more eccentric option, is living in a camper. A lot of people who plan to travel for a a while in temperate places take their whole life on the road with them. This can also be a more convenient option for travelers with pets. If this appeals to you, the facebook group Highway Hypodermics can be a great resource. If I work in multiple states as a traveler, are there any tax exemptions? I don’t want to owe a great deal at the end of the year. Will I be reimbursed for travel, new licenses, uniforms? One of the main benefits as a traveler is the tax free monies you can receive. First is your housing stipend. If you don’t take the agency’s housing, they provide you a tax free stipend – hopefully you find housing for less than the stipend so you can pocket the rest of the money. The second main source of tax free money is your per diem. The IRS regulates both the housing stipend and per diem – a cap is set on each by cost of living in the area code you are working in. If the per diem or housing stipend is low compared to your hourly pay, there may be an opportunity for you to negotiate some taxed hourly wage into a tax free category. It’s one way to maximize your take home without too big of a hit to the agency. However, too low hourly pay compared to your tax free monies can be a red flag for an IRS audit of your employer, so many agencies will have a limit to how far they will push that barrier. With all of this said, income tax laws vary wildly by state and you may find you owe states a certain percentage of your earnings at the end of the year – but this only applies to your taxed hourly wages, not your tax free money. It’s good to ask for any potential reimbursements prior to signing your contract. Licensure fees are typically reimbursed. You will usually get a set amount for relocation – anywhere from $500 to $2000 at most (another good area to target for negotiations to squeak in a little more money. I’ve never had uniforms reimbursed, but it sounds like a very reasonable item to ask your recruiter for reimbursement on. I’m an adult RT therapist with experience in acute and an LTACH, are the opportunities less if my Peds experience is limited? As long as you are open to new experiences and settings, I think you will find your options wide-open. Traveling has been a wonderful way for me to gain experience in settings I otherwise never would have worked in. After a couple of assignments, my breadth of experiences had expanded greatly and even more opportunities were available to me. After those initial experiences, I could confidently step into almost any setting. Has there ever been a time when a contract is rescinded prior to start? In that case what does the company do? I have never had a contract cancelled in 10 years of traveling – except for one time when I broke my arm and couldn’t work. However, it does happen. That is the main risk in traveling and you just have to be willing to roll with the punches and be flexible to adapt. Typically, there is a clause in your contract that allows you to leave a contract with 30 days notice, but you do not necessarily receive the same protection from an employer cancelling the contract (ask your recruiter about the policy for your company). Typically, a facilities staffing needs are well thought out. They don’t hire a traveler unless they need one. If you are a good employee and good fit for the facility, you shouldn’t have to worry about your contract being cancelled. Since I have a lack of experience in traveling, I also don’t know which companies are the favorable ones. Any suggestions? I’m going to refer you to this blog post on your first travel job for a couple tips on selecting a recruiter. Basically, if you don’t feel well taken of, move on to another company. There are many, many agencies and a lot of them recognize that the clinician is the commodity. 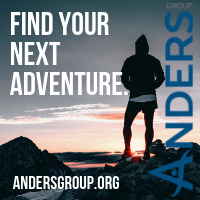 Without us working, willing to take travel jobs, there would be no travel industry and there would be no recruiters – find one that’s willing to make you feel needed. Surfing Waikiki after work one day. Traveling therapy is the best thing ever. Can you sign up for overtime? If you are considering overtime, take that into consideration when arranging your contract. Typically, overtime is paid at 1.5 times your regular hourly rate. However, your hourly is going to be pretty low because of all the tax free money you will also be receiving. On one job, I knew I would be working some overtime, so I was able to negotiate a flat rate for any overtime hours to make sure I was making reasonable overtime pay for overtime hours. It is really going to depend job-to-job on whether overtime is available – make sure to ask during any interviews you have. Overall, I’d like a good experience and to be able to earn enough to pursue my dream location. I just want to know it’s worth it. Traveling therapy is awesome. Pay can vary greatly place-to-place. Just weigh your priorities and if getting out and seeing new states and facilities is one of your priorities, then travel is definitely for you! 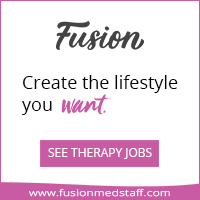 For other therapists trying to figure out where to start, this link is a great place to get started with travel therapy. Also, don’t forget to follow HoboHealth on Facebook and on Twitter @HoboHealth. Tagged contract, how to start traveling PT, recruiters, staffing agencies, tax free, TravelTherapy. « Search With One Travel Recruiter or Several?